Sina Grace is going back to his roots. Those roots will be on full display in Self-Obsessed, a new graphic novel memoir from Image Comics. The book comes from the one-shot of the same name, bringing with it over 80 pages of new material. Folks who enjoy digging into the mindset of an artist asking himself what depths he’ll need to plumb to be anybody’s somebody. A number of personal tribulations—including a death in the family and the end of a longterm relationship—derailed all momentum and sent Grace spiraling into a depression. After leaving his hometown of Los Angeles and traveling across the American Southwest, Grace found his passion project for 2015: himself. 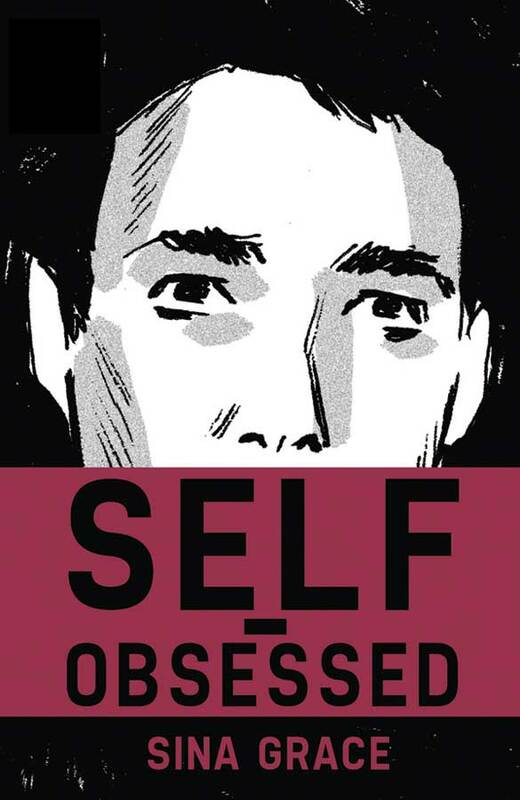 Influenced by nights spent poring over Joan Didion, Arthur Rimbaud and Anders Nilsen, the scope of stories in Self-Obsessed reflect the ups-and-downs of breaking into comics, reconciling relationships past, and discovering what true selfhood looks like. Mixed with long-forgotten strips unearthed from the creator’s messy archives, conversations with contemporaries Ryan O’Connell and Colleen Green, as well as essays exploring gender, identity, and pursuing one’s dreams, Grace brings a whole new spin to memoir for the Twitter age. Self-Obsessed (ISBN: 978-1-63215-449-1, Diamonde Code: JUL150640) arrives September 30 and will be available for $9.99. The graphic novel will include an introduction from Jeff Lemire, as well as a free audiobook download. Full press release below. SELF-OBSESSED (ISBN: 978-1-63215-449-1, Diamonde Code: JUL150640) arrives September 30 and will be available for $9.99. The graphic novel will include an introduction from Jeff Lemire (DESCENDER, Sweet Tooth), as well as a free audiobook download.